Snow and cold winds have still been blowing on the east coast. Wintry weather regardless, it feels like it is time to start working in the garden and to think ahead to a crisp salad. March was the first month among the ancient Romans and appropriately so, as it is the time of year when the world seems to be “waking up” after winter. 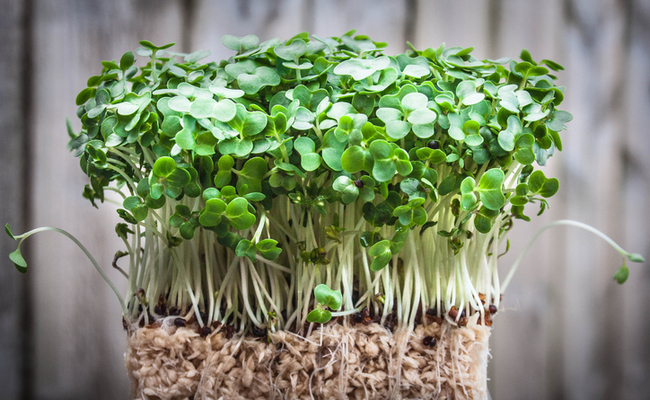 In honor of a time of new growth and new beginnings, here are seven spring superfoods that can help you celebrate with a good blast of nutrients on your plate. I’ve always thought of artichokes as signs of spring. Growing up in northern California, we’d eat them as the season started. My favorite part was the artichoke heart, which you only discovered after working your way through the leaves and past the prickles. 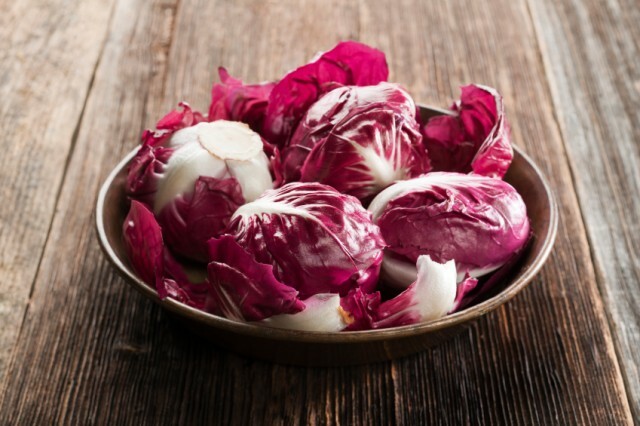 There are real benefits to eating them as artichokes contain some unusual compounds including cynarin, which stimulates the taste bud receptors; inulin, a prebiotic that promotes the growth of good-for-the-gut bacteria and antioxidants (more than any other fresh food, says the USDA), plus fiber, vitamin C and more. For all that you can get asparagus year-round, the green stalks (endowed with vitamins A and K, B vitamins, protein and folate) are the greenest, tenderest and tastiest now. Asparagus is high in fiber and can help to cleanse your system (it’s been suggested as a hangover remedy). Asparagus is actually from the lily family and has more uses than adding color and nutrients to your meals. African species of asparagus are grown as ornamental plants. Asparagus is also cultivated in underground in parts of France to prevent the development of chlorophyll. Another green vegetable that you can get year-round (grown in California) but that’s best in spring is lettuce. Get yours grown locally and organically and you’ll know it may not have any pesticides or chemicals, such as perchlorate, which is found in rocket fuel. In previous years, perchlorate was discovered in the Colorado River, which provides water for California’s crops. 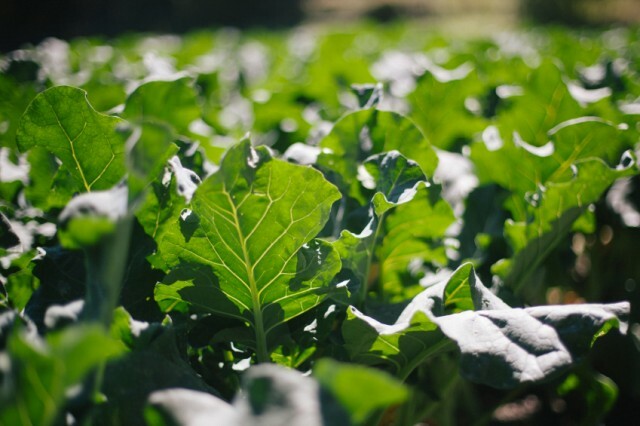 The dark green varieties of lettuce (such as romaine) as well as other dark leafy greens, like collard greens and kale, are rich in B vitamins. Arugula is a sort of “multivitamin” all on its own as it contains beta-carotene, vitamin C, folate, vitamin K, magnesium, fiber and calcium. A mainstay of the simple Cantonese stir-fries I sometimes make , scallions or green onions are rich in the antioxidant quercetin, which helps to lower blood pressure and can help allergy sufferers as they act like a histamine. Scallions also contain vitamins A, C and K, as well as B-complex vitamins. 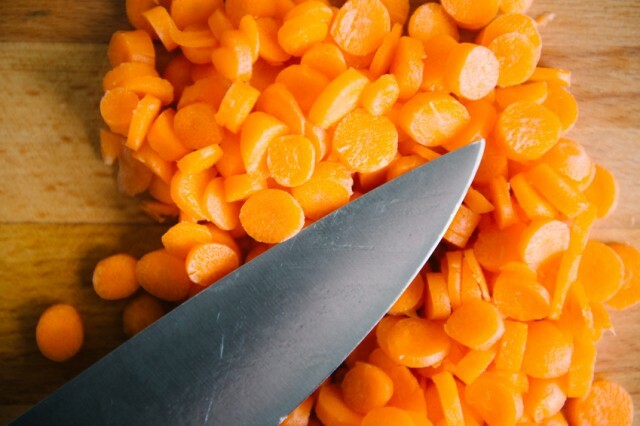 But take note: if you use them raw as garnish or in a salad, make sure you wash them carefully to remove any dirt — less-than-clean scallions have been linked to outbreaks of hepatitis A. 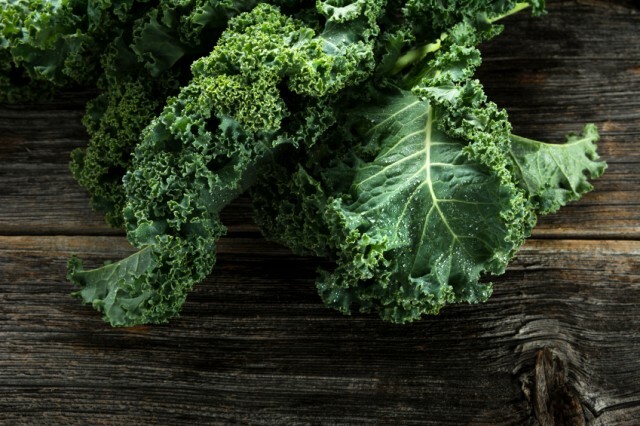 This leafy green has been called the “first superfood.” It gives you a full share of vitamin C, folate, lutein, omega 3 fatty acids and zeaxanthin, a phytochemical that can help age-related macular degeneration. Even more (no wonder it was the food that gave superhuman strength to Popeye), spinach contains anti-inflammatory and anti-cancer agents and can help to strengthen your bones. Forget about those bricks of frozen spinach in the freezer case. Spring is the optimum time to eat spinach as, says OrganicGardening.com, warm days and “cold, nearly frosty nights” draw out its natural sugars best. Rhubarb is a vegetable that is usually treated as a fruit; it belongs to the same family as sorrel and buckwheat. 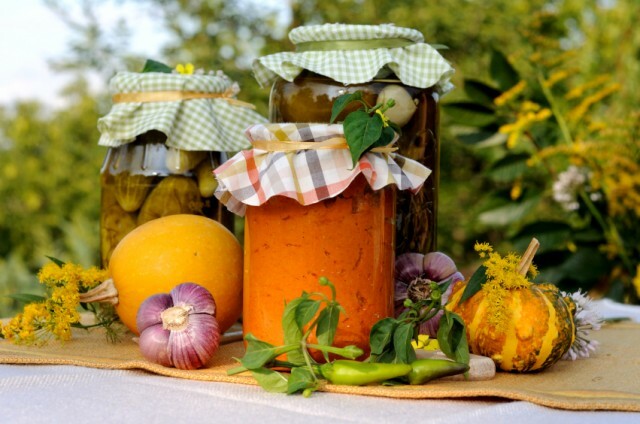 Sour, fibrous and containing few calories, the stems (the only edible part of the plant — the leaves are toxic) must be cooked to be eaten in pies, jam and chutneys. It is used as a diuretic and laxative and also contains potassium and vitamin C. One study suggests that chemicals extracted from rhubarb called polyphenols could point the way to new drug treatments for leukemia and other cancers. Another bright red spring superfood, radishes, can provide you with a good wallop of your daily vitamin C requirement; you’ll get even more if you eat the leaves. 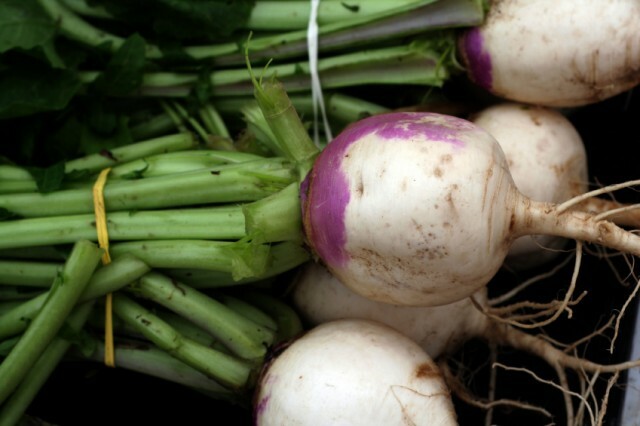 As radishes have a high water and fiber content, they can add bulk and crunch to your meals with fewer calories. Even more beneficial is combining radishes with broccoli as their cancer-fighting compounds are enhanced by myrosinase, an enzyme in radishes. 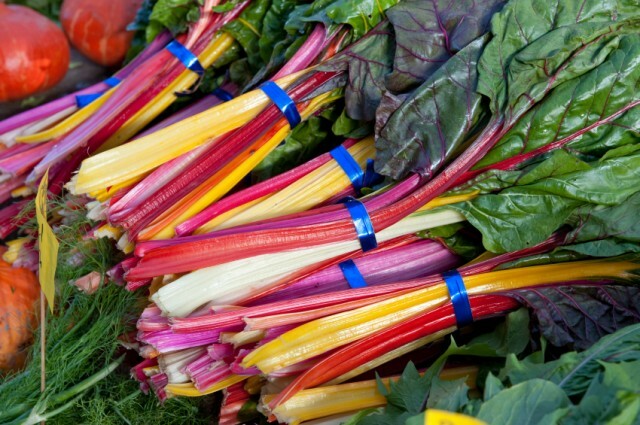 Wishing you a very nutritious, and colorful, start to the spring! Spinach was a powerfood even before there was the term powerfood. We’re referring of course to Popeye the Sailor Man. “TOOT TOOT!” One can of the green stuff and he turned into muscle popping tornado of energy. 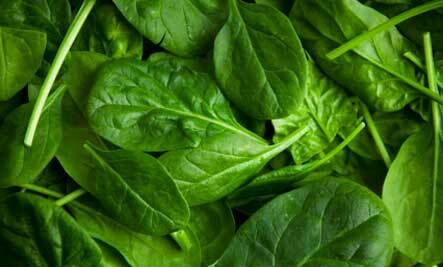 Even without Popeye’s recommendation, spinach contains more nutrients per calorie than any other food on the earth. 1. 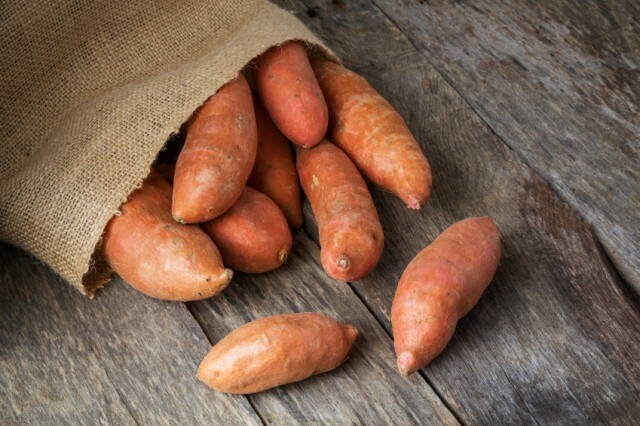 Loaded with Vitamins: like A, K, D, and E and a host of trace minerals. 2. Good Source of Omega 3 Fatty Acids: the kind most of us need in North America. 3. Anti-Cancer and Anti-Inflammatory Antioxidants: Researchers have identified more than a dozen different flavonoid compounds in spinach that function as anti-inflammatory and anti-cancer agents. In a recent study on the relationship between risk of prostate cancer and vegetable intake (including such healthy vegetables as broccoli, cabbage, and brussel sprouts) only spinach showed evidence of significant protection against the occurrence of aggressive prostate cancer. 4. 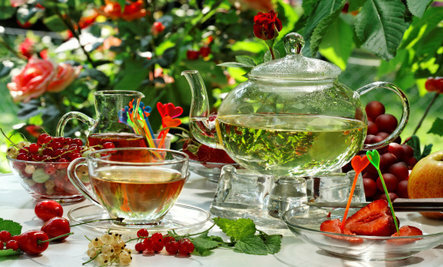 Alkalizes the Body: All those minerals helps to balance off the highly acid diet which most of us subject our bodies to and which drains our energy, increases obesity and a creates host of other health problems. 5. Nourishes the Eyes: The carotenoids found in spinach protect against eye diseases such as cataracts and macular degeneration. 6. Strengthens the Bones: One cup of fresh spinach (or 1/6 cup of cooked spinach) contains TWICE your daily vitamin K needs. 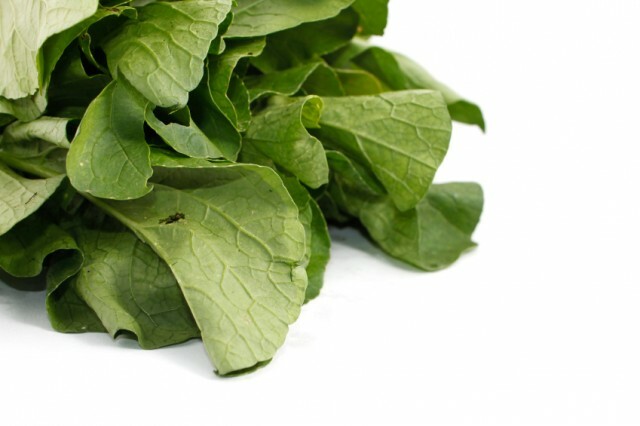 This along with the calcium and magnesium in spinach is essential to maintain healthy bones. 8. Spinach is FRESH! Studies have shown that even the artificial light in the grocery store shining on those plastic tubs of spinach can actually help keep the leaves from spoiling. This indicates the spinach is still metabolically active and fresh. 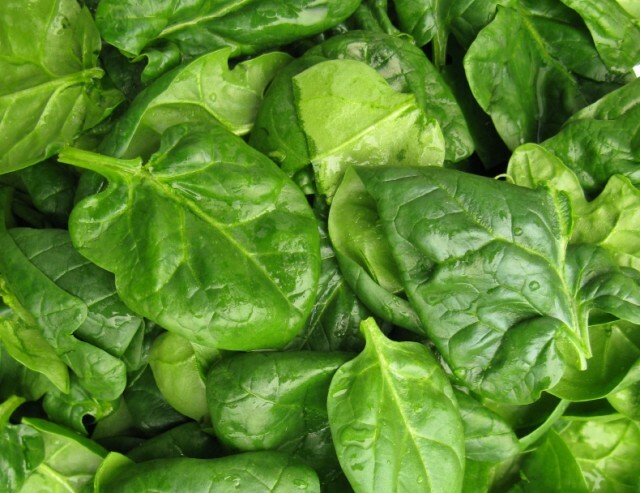 Tip #2: Choose the GREENEST looking spinach you can find. Probably you would have anyway, but studies have shown that the greenest spinach has the most vitamin C.
Tip #3: Because spinach contains high levels of so many nutrients it also has significant levels of oxalic acid. This has been associated with kidney problems and interference with absorption of other minerals. There is much debate whether the oxalates in spinach would have this kind of effect but just to be sure, if you have a pre-existing kidney problem, it’s better to consult your doctor before eating too much. 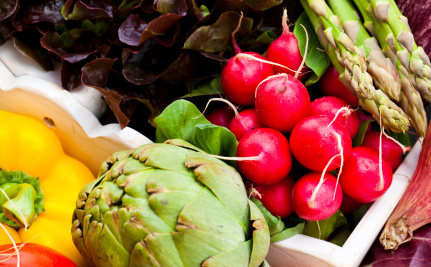 At Real Food For Life, we recommend that a person balance their body enough so that they can use their own bodies as a gauge on how much or little to eat of a particular food. For example, I usually crave spinach but sometimes I just don’t want it in my body. I suspect that perhaps I have reached my limit for something, (like the oxalates) within the food. This personalized approach to your nutrition is the easiest and ultimately the most powerful approach to nutritional choices. We explain this more in our “Three Secrets” report. Power Spinach Salad: You just HAVE TO know how to make a good spinach salad. This one is great. Miso Soup with Spinach and Mushrooms: This is fast, tasty, and contains at least three powerfoods. Diana’s Green Smoothie With a Difference: Watch video to learn how to make a green smoothie. Diana Herrington, now living in Northern Canada, turned a debilitating health crisis into a passion for helping others with healthy, sugar free, gluten free, eating and cooking. After testing and researching every possible healthy therapy on her delicate system she has developed simple powerful principles which she shares in her recent book Eating Green, Clean and Lean, and as host to Care2 groups: Healthy Living Network and Healthy Cooking. Check out her blog Real Food for Life or follow her on Twitter: http://twitter.com/DancinginLife.